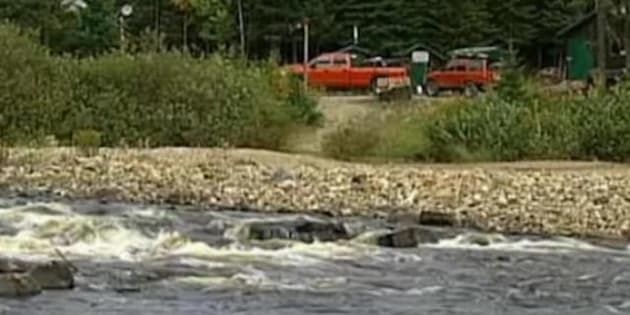 Two men and one woman died this weekend trying to save their children from drowning in Quebec's Wapishish River. Benoit Dassylva, 33, his brother Dominic Dassylva, 36, and Nathalie Chouinard, 32 were swept away by the current after they jumped into the river to fetch their children. The two boys, aged 6 and 8, were struggling after they waded into the river to retrieve a toy duck. Benoit and Dominic jumped in first to try to rescue the boys, and managed to help the 8-year-old – Dominic's son – back to shore. The fathers returned to the river with Chouinard's help to grab the younger boy – her son – but they were unable to "bring him on the beach," Sgt. Hélène Nepton of the Sûreté du Québec told CBC News. Dominic Dassylva's partner followed them with life jackets and was able to rescue the boy. But the three adults disappeared into the river. Chouinard was found unconscious on the river bank later Saturday night, and died a short time later in hospital. The men's bodies were recovered Sunday morning. The families are from Chicoutimi. Wapishish River is in Quebec's northeastern Saguenay region.